“Bob, I very much appreciate all of the work you have done with CHS and the great results we have experienced. You have accomplished all that we had hoped, and more, in terms of media coverage and awareness for the cause. 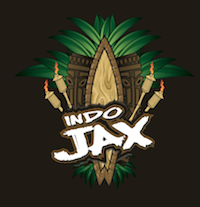 Note: Indo Jax Charities is a 501©(3) nonprofit, providing free programs to empower medically fragile, special needs, and disadvantaged children. “Thanks, Bob! Thanks for all you did…the press releases, the emails, the Hispanic versions, the film magazines and online contacts, the energy getting the buzz number up especially with the different organizations (all the UCP chapters throughout the US, WOW! ), seeding the facebook pages, contacting Cucalorus and Screen Gems….the list goes on and on. You’ve been a busy man the last couple of weeks and I just want you to know how much we appreciate all your efforts and hard work. Being #1 in rating and most visited is a great achievement and we owe a lot of that success to you.